My opinion is not a “falsehood” – giving pedestrians the right of way has been shown time and time again to not be sufficient. Hoping that someone stops and does not hit you is not sufficient. The problem with any yield design intersection, whether it’s a roundabout or an Idaho stop, is that cross traffic doesn’t stop. It may (or may not) slow, but that puts pedestrians in a position of having to actively take the right of way, rather than getting their turn, and being able to take their time crossing, when cross traffic is forced to stop. If you’re brave and nimble, yield intersections might anecdotally work for you. If you have any kind of disability, roundabouts are a particular hazard. Note in particular that the crash rate rises in roundabouts, but the severity of car vs. car crashes dropped. Ever have a minor accident with a car as a pedestrian or cyclist? Most of the world doesn’t have STOP signs at all. In the U.S. we have then at nearly every intersection. The dirty little secret is that in general we don’t even expect cars with white drivers to come to a full stop at them, they’re just to slow cars down (as they speed from intersection to intersection). Yet somehow having bikes yielding instead of stopping is the downfall of civilization. This anti Idaho Stop argument also ignores the fact that the vast majority of cyclists are not riding at the speeds of motor vehicles, are a small fraction of the weight, have no blind spots, and can hear what is going on around them. So I’ve only been to 49 countries, but I saw stop signs in most of them. Not all of those places were great places to be a pedestrian either, btw. Side note: Japan is one of the few countries that has a stop sign that isn’t octagonal (but it’s an awesome place to be a pedestrian). And yes, driver behavior can be awful–so? It sounds like you want bikes to be able to behave the same way, since drivers “get” to do it? Is there a reason to bring that up otherwise? I think the question is: do we want intersections to be safe for all users? Or do we want them to be convenient for some users, at the expense of the safety of others? I don’t think the Idaho Stop is a cure-all that’s going to magically improve pedestrian safety. Will it make it worse? Better? There’s very little data–but lots of speculation. But generally speaking, it does seem like any type of intersection that encourages yield flow is going to be advantageous to the fastest/most intimidating users, at the expense of the slowest/least intimidating users. Yes, bikes are lighter, and often slower than cars, but most non-aggressive pedestrians are going to hesitate stepping out in front of a moving bike. That’s great for bike flow, but not great for pedestrians. Anecdotally, I regularly see pedestrians give up their right of way to me (on a bike) when I’m approaching a stop sign. I always motion them across, and come to a full stop–but obviously that’s unexpected behavior. Yes, but requiring a stop provides greater certainty for pedestrians than requiring non-pedestrians to simply yield and/or try to avoid you. At a crosswalk, pedestrians deserve the safety and certainty that comes with others not flying through the intersection or across their path. When most motorists treat them as yields anyway there is no added certainty. Every time I approach an intersection whether I’m driving, cycling, or walking I bet the driver approaching the stop is going to blow it or at least try. That is exactly the problem with giving people who chose to drive or cycle the right to not stop. Clearly in ny where the average speed is 7mph ,there is no reason to give so much cycle to drivers who cannot use it . the city should find the proper speed for both cyclists and pedestrians to move effectively . One rule should be no green on green where turning cars conflict with bikes and pedestrians . This is terribly dangerous because the drivers do not yield , or they bully you by inching toward you in the crossing . And at the same time the pedestrians and bicyclists have a false sense of safety, thus are less alert to the danger. I’d green on green was safe and effective, we should remove all the traffic lights at all intersections and let the cars negotiate the conflicts. In NY DOT has installed split phases with a short red arrow and then a blinking yellow arrow which are very effective . 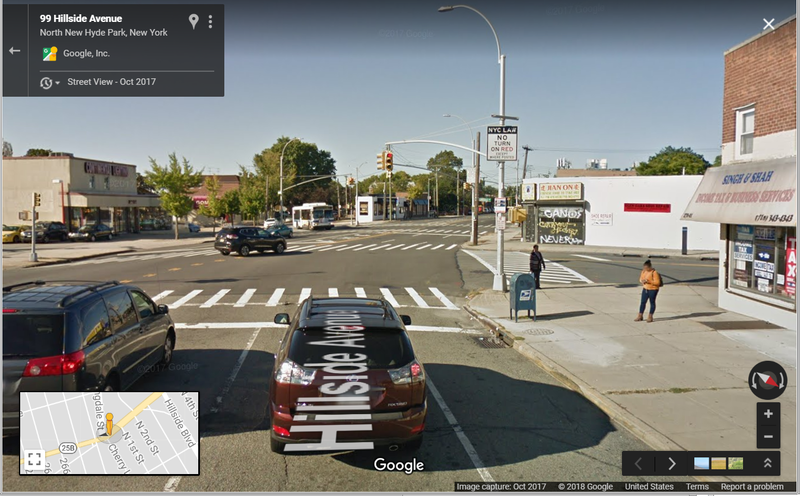 However on bike lanes the most effective are split phases with red arrow signal, so the the turning cars do not block the bike path..
Barnes dance are great when you have large volumes of pedestrian doing a double cross, like near the Port authority. No, you’re missing the point and making an apples and oranges comparison between cyclists and motorists. One group kills around 100 people a day in the US alone, the other doesn’t. I’ll let you guess which one is which. Fact is the Idaho Stop law saves lives. If it does so at the expense of someone feeling less confident crossing the road, then so be it. They still have the right of way, nothing has been taken away from them and the law definitely doesn’t prioritize cyclists over them. >So I’ve only been to 49 countries, but I saw stop signs in most of them. Not all of those places were great places to be a pedestrian either, btw. Side note: Japan is one of the few countries that has a stop sign that isn’t octagonal (but it’s an awesome place to be a pedestrian). OK? I never said anything about countries not having stop signs at all. >And yes, driver behavior can be awful–so? It sounds like you want bikes to be able to behave the same way, since drivers “get” to do it? Is there a reason to bring that up otherwise? The reason I bring it up is that people have this idea that the Idaho Stop will create chaos in intersections because cyclists will be allowed to treat stop signs as yields and red lights as stop signs. When the fact is the most dangerous road user is already doing this which is by default more dangerous than cyclists doing it and has no benefit. Idaho Stop laws reduce accidents and save lives. >I think the question is: do we want intersections to be safe for all users? Or do we want them to be convenient for some users, at the expense of the safety of others? We want intersections to be safe for all users and the Idaho Stop makes intersections safer for cyclists without taking the priority from pedestrians. >I don’t think the Idaho Stop is a cure-all that’s going to magically improve pedestrian safety. Will it make it worse? Better? There’s very little data–but lots of speculation. Did anyone claim it was a “cure-all”? No, nothing is. What a ridiculous sentiment. There is plenty of data. This law isn’t new, it was implemented in 1982. >But generally speaking, it does seem like any type of intersection that encourages yield flow is going to be advantageous to the fastest/most intimidating users, at the expense of the slowest/least intimidating users. It’s only adventageous when the intersection is clear. >Yes, bikes are lighter, and often slower than cars, but most non-aggressive pedestrians are going to hesitate stepping out in front of a moving bike. I can’t help how someone feels. I’m also not willing to trade the safety of one road user to make another feel more comfortable. Show me data that shows that cyclists/pedestrian collisions are higher in the areas that have adopted the Idaho Stop and I’ll reconsider my opinion on the matter. >That’s great for bike flow, but not great for pedestrians. >Anecdotally, I regularly see pedestrians give up their right of way to me (on a bike) when I’m approaching a stop sign. I always motion them across, and come to a full stop–but obviously that’s unexpected behavior. I don’t see what this has to do with the conversation at all. If you want to make cities more walkable and crossings to be more pedestrian friendly you should be pushing for traffic calming measures. Road diets, bump outs, narrow lanes, tree lined roads, reduction of sprawl, reducing motor vehicle traffic, etc. Attacking a law that makes road use safer for another vulnerable road user is not the way to go about it. The way I see it pedestrians and cyclists are fighting for more space that has been handed over to motorists. The more we work together the better it will be for everyone. I’m not comparing cyclists and motorists – I’m simply acknowledging the reality that both pose a threat to the safe crossing by pedestrians and should be required to stop (not slow down or pause) in order to give pedestrians the right to cross as safely as possible. If it’s an inconvenience for a cyclist or a driver to stop at a red light or stop sign, then so be it. Pedestrian safety should be prioritized. Show me the data that supports your stance that where Idaho Stop laws exist there is a higher number of cyclist/pedestrian collisions and I will reconsider my stance. The law requires cyclists to slow down, and stop if there is intersecting traffic or pedestrians. The stop is still required where pedestrians are present. This is not a convenience issue. It is proven to be safer for cyclists and, from the data I’ve seen, no greater risk to pedestrians. If it was a convenience issue and it did in fact put vulnerable road users at risk I wouldn’t be a proponent of this law. I would love to see such data, but fear that by the time sufficient data is available, the norm of de-valuing pedestrians will be as firmly in place for people who choose to cycle as it is for people who choose to drive. Aside from safety, it is also a matter of priority – pedestrians should not have to wait for a break in the traffic in order to risk their safety crossing. >>…most non-aggressive pedestrians are going to hesitate stepping out in front of a moving bike. >I can’t help how someone feels. I’m also not willing to trade the safety of one road user to make another feel more comfortable. There’s a lot to reply to, but I think this is central. You _can_ help how someone feels. That’s how human interaction works. If you act aggressively, you are affecting how people around you feel, and that’s also true in traffic. I’m guessing you’ve encountered aggressive drivers who made you feel unsafe; are they blameless because they “can’t help how you feel?” It sounds like you’re just dismissing the disadvantage a pedestrian is at in an all-yield intersection, unless I’m missing something. If pedestrians or cyclists feel uncomfortable using a road/intersection, they’re not going to. This seems completely contrary to what you argue for later, in terms of increasing the numbers of pedestrians and cyclists. >Show me data that shows that cyclists/pedestrian collisions are higher in the areas that have adopted the Idaho Stop and I’ll reconsider my opinion on the matter. Again, there’s little actual data on pedestrians because it’s difficult to collect that data without expensive, manual counts. So a lack of data doesn’t mean there’s not a problem. Let me flip that question–can you show me data that shows that the number of pedestrians using an intersection remains the same or rises after a redesign from a stop intersection to a yield intersection, without an increase in collisions? Because part of the data issue is also going to be a sort of self-selection problem. If pedestrians don’t step out in front of moving vehicles, you won’t see an increase in collisions, but that could be at the cost of a decrease in pedestrian utility, putting pressure on them to adopt other routes or other modes of transit. Without those expensive manual counts–before and after the change–you won’t know what’s going on. I feel like I’m taking crazy pills here! >I would love to see such data, but fear that by the time sufficient data is available, the norm of de-valuing pedestrians will be as firmly in place for people who choose to cycle as it is for people who choose to drive. This law is not new. Crash data exists regardless of who is involved, it even exists by region and I’ve even seen it broken down by intersection. Don’t tell me the data does not exist. If we can show the number of pedestrians killed every year, and we can and do just that, there is no conspiracy to hide that data. The real answer here is you don’t see this data because the places that have implemented this law likely saw no increase in pedestrian/cyclist collisions. If they did you would definitely hear about it considering how unpopular this law is among motorists and apparently pedestrians alike. >Aside from safety, it is also a matter of priority – pedestrians should not have to wait for a break in the traffic in order to risk their safety crossing. PEDESTRIANS STILL HAVE PRIORITY. The cyclists would be legally required to stop if pedestrians are present. How is this not sinking in? Most pedestrians in general are going to hesitate stepping out in front of any moving vehicle until they’ve shown they’re going to stop. >There’s a lot to reply to, but I think this is central. You _can_ help how someone feels. That’s how human interaction works. If you act aggressively, you are affecting how people around you feel, and that’s also true in traffic. I’m well aware that I can change how someone feels based on how I act and the things I say. This doesn’t have a thing to do with the law we’re discussing. You’ve missed the point of that statement. I’m not willing to sacrifice the safety of one vulnerable road user to make another feel more confident, especially when they still have priority. No, because they are actively driving aggressively, and dangerously, if they’ve made me feel unsafe. >It sounds like you’re just dismissing the disadvantage a pedestrian is at in an all-yield intersection, unless I’m missing something. You are, because I’m not advocating for all yield intersections. I’m advocating a law that has been proven to reduce accident rates in the most dangerous areas for vulnerable road users. >If pedestrians or cyclists feel uncomfortable using a road/intersection, they’re not going to. 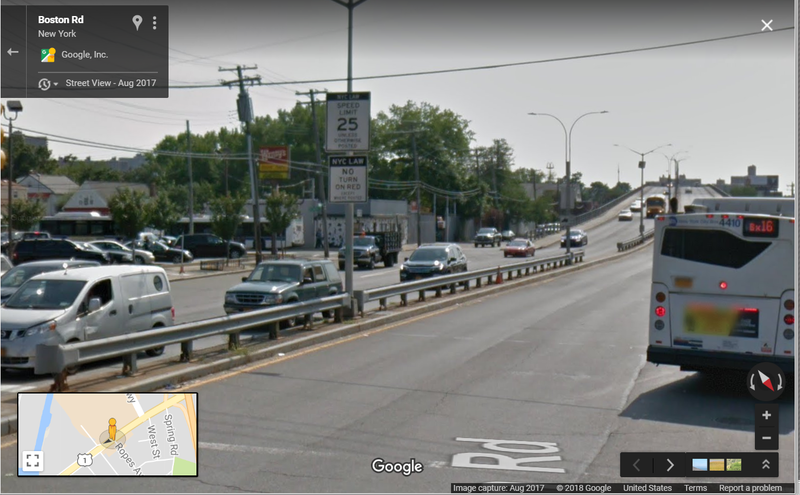 Comfort is going to come from proper infrastructure design, road diets, narrower lanes, bulb-outs, raised crosswalks, leading intervals, longer crossing intervals, etc. >This seems completely contrary to what you argue for later, in terms of increasing the numbers of pedestrians and cyclists. How? I’m arguing in favor of a law that has been proven to reduce collisions and saves lives while reducing the number of cars on the road. I’m in no way saying that cyclists should take precedence over pedestrians, quite the opposite. I’ve reiterated the fact that pedestrians retain priority with this law to the point that it’s become mind numbing. >Again, there’s little actual data on pedestrians because it’s difficult to collect that data without expensive, manual counts. Balderdash. There is plenty of data on pedestrians, and there is definitely pedestrian crash data, which is what I asked for. Don’t be lazy and say there is no data when there is just because it doesn’t support your position. If pedestrian/cyclist collisions went up in places that implemented the Idaho Stop we would see it. It doesn’t, so we don’t. >So a lack of data doesn’t mean there’s not a problem. Lack of crash data would in fact mean there’s a lack of crashes. >Let me flip that question–can you show me data that shows that the number of pedestrians using an intersection remains the same or rises after a redesign from a stop intersection to a yield intersection, without an increase in collisions? That’s not flipping the question, that is coming up with a completely irrelevant question after failing to properly address the original question. I’m not arguing for intersections to be redesigned as all yield intersections. I’m not going to bother digging for the information as it is completely unrelated to my position. Regardless of my mode of transportation I make sure to look before crossing an intersection to be sure everyone has stopped or is in the process of stopping. I don’t get a green light and put the pedal down while looking straight ahead. >but that could be at the cost of a decrease in pedestrian utility, putting pressure on them to adopt other routes or other modes of transit. Without those expensive manual counts–before and after the change–you won’t know what’s going on. You would have data showing an increased stress on the other modes of transportation. You’re ignoring the fact that automated count methods for all forms of traffic, including pedestrians, exists and has existed for some time. It’s not like because people are on their feet there is no way to count them other than manually. I spend a good portion of my life walking. I’m in favor of safer streets and intersections for pedestrians. That said, the fact remains that Idaho Stop laws save lives and are no real threat to pedestrian safety. This law is of the least concern when we’re talking about pedestrian safety at intersections. – Can you point me to a study exploring whether or not Idaho stop makes it less safe, comfortable and convenient for pedestrians to cross? I have not seen one. Please send a link if you have one. – Your trust in cyclists is misplaced. Cars also have a duty to yield if pedestrians are present. Do you have any idea how rare it is for either a cyclist or a drive to ever yield? I have no idea why you are getting so testy, but I should assume as much given your name on here. It ‘s never easy to tell someone they should not be privileged any longer. >Can you point me to a study exploring whether or not Idaho stop makes it less safe, comfortable and convenient for pedestrians to cross? I have not seen one. Please send a link if you have one. >Your trust in cyclists is misplaced. Cars also have a duty to yield if pedestrians are present. Do you have any idea how rare it is for either a cyclist or a drive to ever yield? Most of the time? I’ve had a few situations motorists blow through a yield at my right of way, but I’ve had way more blow through stop signs and even red lights. >I have no idea why you are getting so testy, but I should assume as much given your name on here. >It ‘s never easy to tell someone they should not be privileged any longer. Who’s privileged? Me? A cyclist that doesn’t happen to live in a place with any good infrastructure and doesn’t have Idaho Stop laws? In a state that just managed to pass a minimum passing distance for motorists passing cyclists but threw in some ambiguous language about, “where practicable” technically putting the distance needed up to the descretion of the motorist? Part of 1% of the population that represents 2% of all road deaths? One of the portion of the population that seems expendable when you look at the incarceration rate for killing one of us? In the good old United States of American, we can make our intersection safer, but for which group of pedestrians. The community that i live in is a working class neighborhood, anchored to the downtown San Mateo Caltrain Station but the Station could alleviate congestion if had a shuttle interconnected with BART. Though it appears apathetic, I have talked with families with little children that live in my neighborhood and they desire safe places, cross walks and intersections and streets for their families too, just as passionately as the more affluent neighborhoods but to show the contrast the people that are hard working class people don’t have time to attend meetings or join neighborhood associations with their neighbors to march in front of the news crews, with posters to SLOW for their children, the contrast is that people in my community they don’t have time or leisure to show that they care just as much as the other community group of people that live in the higher economic parts of town and they actually get slower SPEED, and the Radar SPEED Display posted up on their streets for their children because, “they tell me because their homes are worth more and that they pay higher property taxes. “The squeaky wheel gets the grease”. All the neighborhoods came together at San Mateo High School to prioritize safe SPEED Zones and bulb outs for the schools, and we did achieve this at our Turnbell School in North Central San Mateo. HORRIBLE FOR PEDESTRIANS! However, out-of-town drivers who don’t know about the NYC no-turn-on-red laws do so anyway, because they don’t see any sign commanding “No Turn On Red.” What we need are signs indicating this law. I know of very few drivers who take the time to read the driver’s manuals for states they visit, even though important state law distinctions exist. I am both a licensed driver with a clean record and a frequent pedestrian. Pedestrians are still at the mercy of drivers who don’t yield even though the law mandates it. out-of-town drivers who don’t know about the NYC no-turn-on-red laws do so anyway, because they don’t see any sign commanding “No Turn On Red.” What we need are signs indicating this law. Drivers who turn right on red in New York City are not doing it out of ignornace. They are doing it for the same reason they routinely break other traffic laws: because they know that there is virtually no chance of their getting caught; and, further, they know that, if they do get caught, there is no meaningful punishment, even if they kill someone. I have many issues with traffic lights where I live in San Diego. I’m a fast walker/runner and the traffic lights seems to keep me at an even pace that a much slower walker has caught up to me many times while I’m stuck at an intersection waiting for the cross walk to turn green. It becomes a game of beat the buzzer. Lose and you will have to wait the whole light cycle for your turn to come again unless you jaywalk or go against the light. At Old Town San Diego, it seems civil engineers doing care about pedestrians. We would have the cross walk and a train or trolley would be coming into the station and immediately without warning change the lights so cars will move to turn while pedestrians are still in the walk lane crossing. This was supposed to be a safety thing to keep cars off the tracks but puts people at risk of being hit by a car. It’s now a must to wear reflective vest at all times while walking. The first thing most drivers say when they hit a pedestrian is they didn’t “see” them. Even when they’re right in front of them and they’re making right turns on reds and not yielding. At the Landmark Interchange by Fenway Park in Boston, people trying to walk across the street sometimes have to wait as long as two minutes for a signal. And that, says Northeastern University Civil Engineering Professor Peter Furth, is dangerous. What If We Measure Streets for Walking the Way We Measure Streets for Cars?